The Wells Fargo Platinum Visa card is a good choice for people who have an existing balance on a card with high interest rates and are looking to complete a balance transfer. You’ll benefit from 0% for 18 months on qualifying balance transfers on balance transfers. Purchases made during the intro period will also have 0% for 18 months on qualifying balance transfers. The intro period provides plenty of time to get your finances in check. The APR will go to 13.74%-27.24% (Variable) APR once the introductory period ends. This card isn’t designed for people who carry a balance post-intro period, or for those who want to earn rewards. The ongoing APR is high for this card at 13.74%-27.24% (Variable), bad for people who have debt after the intro period. Also, this card doesn’t offer rewards, making it strictly for people who want to take advantage of the 0% intro APR period. If you want rewards, check out cash-back cards or rewards cards. The Wells Fargo Platinum Visa card offers an above-average length of time for you to pay off your debt with an intro 0% for 18 months on qualifying balance transfers on purchases and balance transfers, then 13.74%-27.24% (Variable) APR. This is a great length of time and superior to most competing cards that offer 15 months or less. And this comes with a $0 annual fee. Although the 0% intro APR period is long, it isn’t the longest available. You can find other offers for the same time or longer. There is also no rewards program for this card and you can find competing cards that have long intro periods and rewards like the Discover it® Balance Transfer. The Wells Fargo Platinum Visa card also has a higher APR range than other balance transfer cards, which is something to be aware of if you carry a balance beyond the intro period. 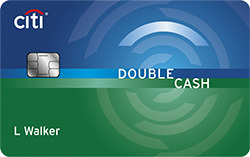 There is also a transfer fee associated with this card (3% for 120 days, then 5%), and other balance transfer cards offer more favorable transfer fees like the Chase Slate®. My Money Map: Need help getting your finances organized? Track your spending with easy-to-use tools that allow you to create a budget and manage your spending. Cell Phone Protection: By paying your monthly cellphone bill with your card, you can get up to $600 of protection (subject to $25 deductible) against covered damage or theft. Free FICO® Score: You receive your credit score for free and can monitor it monthly to see where you stand. To use the Wells Fargo Platinum Visa card effectively, complete your transfer as soon as possible; the 0% intro APR period begins from account opening. If you plan on making a large purchase, also do this soon after account opening. Once you complete your transfer or purchase, be sure to pay off your balance before the end of the intro period, or else you’ll be subject to a high APR range — 13.74%-27.24% (Variable). A balance transfer with the Wells Fargo Platinum Visa card cannot exceed your available credit limit. That includes the amount you transfer, plus the balance transfer fee. The time period for you to complete your transfer will be included in your cardmember agreement — but always do it as soon as possible so you don’t miss out. To complete your balance transfer, sign on to the Credit Card Service Center through Wells Fargo Online and select “Request Balance Transfer” under the Account Management column. Once you select your offer, fill in your transfer information and verify and submit. 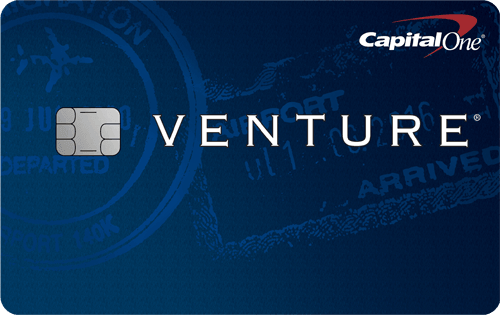 You can also call 1-800-642-4720 or request a balance transfer when you apply for your card. Transfers typically take up to two weeks to process, so continue to make payments to your other creditors to avoid late fees until the transfer is complete. The Wells Fargo Platinum Visa card and the Chase Slate® both have good balance transfer options, but differ in two key ways: length of intro period and balance transfer fee. The Wells Fargo Platinum Visa card has a longer intro period than the Chase Slate® — 0% for 18 months on qualifying balance transfers, then 13.74%-27.24% (Variable) APR versus 0% Intro APR on Balance Transfers for 15 months, 16.49% - 25.24% Variable APR, thereafter. This makes the Wells Fargo Platinum Visa card a good option if you need a few extra months to pay off your balance. Although more time is great, another important factor to consider is the balance transfer fee. With the Chase Slate® you get an Intro $0 on transfers made within 60 days of account opening. After that: Either $5 or 5%, whichever is greater. 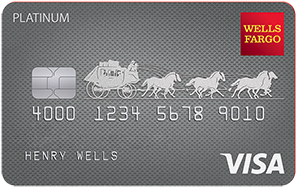 The Wells Fargo Platinum Visa card has a 3% for 120 days, then 5%. If you want to save the most money possible and can afford to pay off your balance before the end of the intro period, the Chase Slate® may be a better option. See below for a breakdown of the key elements of both cards. Balance Transfer Fee 3% for 120 days, then 5% Intro $0 on transfers made within 60 days of account opening. After that: Either $5 or 5%, whichever is greater. The Wells Fargo Platinum Visa card is a no-frills card that offers a long intro period, suitable for people who want to transfer a balance or finance a large purchase. Make sure you pay off your debt before the intro period ends: The ongoing interest rates are high.